When temperatures reach the upper 90s and into the 100s for even a short period of time, residents need to take extra precautions with their health. Two common problems involved with extreme heat are heat exhaustion and heat stroke. 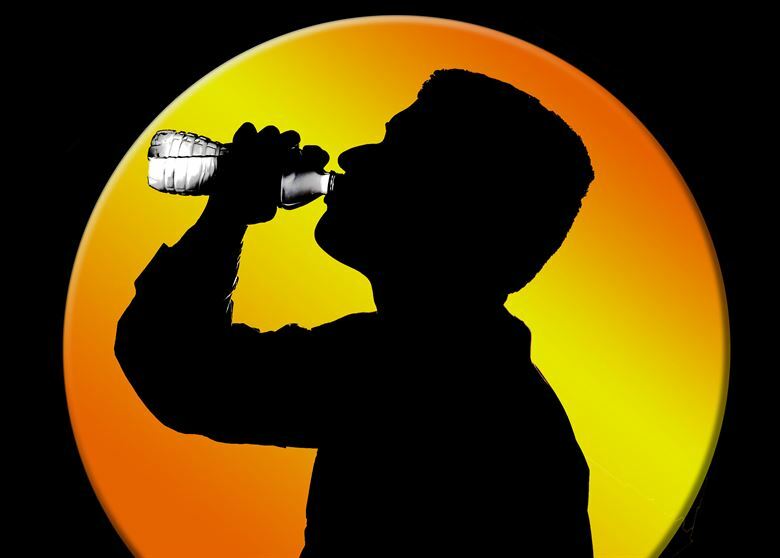 Heat exhaustion or heat stress is the overheating of the body due to excessive loss of water. It can be caused by prolonged exposure to hot temperatures, limited fluid and/or insufficient dietary salt intake. Anyone can develop heat exhaustion during hot weather. Certain situations can lead to heat illness more readily; long stretches of hot days, recent illness, heavy/restrictive clothing, or working in a hot environment. If heat exhaustion is untreated, it may progress to heat stroke. Seek medical attention if symptoms worsen or last longer than one hour. Heat stroke, opposed to heat exhaustion, can be fatal. The key sign of heat stroke is the loss of the ability to sweat, which happens when body temperature reaches 105 degrees. At this point, the body’s brain and organ tissues begin to die. The primary cause of heat stroke is ignoring heat exhaustion. This is a medical emergency and you should call 911. If you have questions, please call our Environmental Health Division at (513) 946-7800.